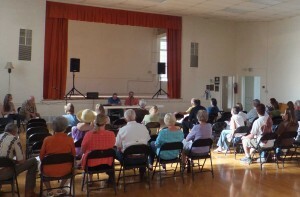 The Tuacahn Summer Arts Institute held a Faculty Chamber Music Series concert in the old Rockville church … now the Rockville Community Center … on Saturday night. The combination of the classic old church, the even more classic town of Rockville, and the classical music of Mozart, von Weber, and especially Tchaikovsky seemed to blend together to create an memory that will be one of those that will live in my heart as long as my heart lives. The whole ZiCC community turned out for a very good reason. The internationally acclaimed musicians provided a performance that matched anything I ever heard in cities from the Washington Lincoln Center to the Seattle’s McCaw Opera Hall. The Mozart was rhythmic, whimsical and melodic as only Mozart can be. Von Weber was reliably classical. But Tchaikovsky soared. I could hear hints of 1812 and Romeo and Juliet. All were enriched by virtuoso performances from musicians whose abilities can only be compared across continents and centuries. The array of black folding chairs was full to the back row and the wooden pews on both sides were too. But when I looked outside during the intermission, most of the parking on Rockville’s shady main street was still open. I realized that must be because most of the people from Rockville simply walked to the concert. It’s a sad commentary on the life we live to assume that the only way to get somewhere is to move thousands of pounds of metal and plastic. ZiCC people in Rockville don’t have to assume that. It’s a beautiful thought. As Roxy and I guided our own thousands of pounds of metal and plastic back to Springdale, my mind went back to the continual stream of art and science that graces the Zion Canyon Community. Great performances and outstanding science seem to be drawn to this place. 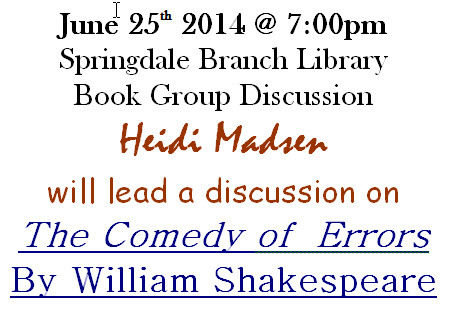 A few years ago, the Springdale Community Center hosted an expert in Shakespearean sonnets. 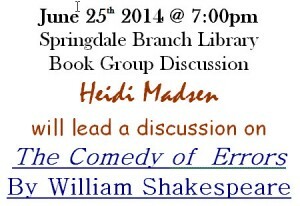 The Springdale Library book group is reading Shakespeare’s A Comedy of Errors this month. 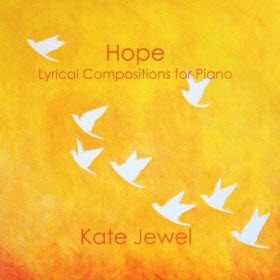 (My review of the play can be found here.) Inspired by the lecture, I composed two sonnets in the classical style of Shakespeare based on the theme of Zion Canyon water. (And topped them off with a limerick just for fun.) Water is even more of a theme this year. And since recycling is in vogue these days too, I decided to recycle my sonnets here. A drop of dew was born a thousand years ago. Water vapor from a sea a thousand miles away. The dew drop fell as snow on the Kolob plateau. One of thousands of billions who danced in a winter ballet. Slot canyons raged until the surge was spent. But a drop of dew did not join the raging flood. The drop began a long and slow descent. The dew drop fell through stone a mile deep. Nations rose and fell; the drop secure. Then Kayenta slate showed the path to a gentle seep. The dew drop emerged, so cold and pure. The Virgin is made of dew drops like this. Each one is as precious as a virgin’s kiss. The rain went on for weeks without an end. Brown water surged across our grassy park. The desert makes some rain a valued friend. This much made all the people sad and dark. Just sand remained where dogs and people played. The word went out. The tons of sand must go. Next Saturday, the park will be remade. Just bring yourself, a spade or rake or hoe. The day dawned bright and full of warming sun. A hundred friends worked side by side that day. We worked as one until the job was done. Until the sand had all been pushed away. The Virgin didn’t really beat us down. It just made us a stronger, better town. This entry was posted in Sunday Sermon on 22 June 2014 by Dan Mabbutt. 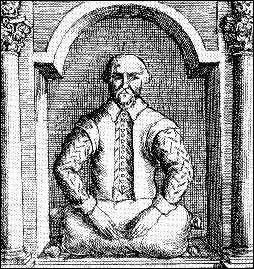 Much is not known about the mysterious playwright from four centuries ago. Some historians believe that the historic Shakespeare didn’t even write the plays attributed to him. The chronology of Shakespeare’s plays is just one of the things masked in the gray mist of forgotten history. Since his plays were not published until seven years after his death, records that could tell us when they were actually written simply do not exist. But careful inspection of certain phrases used in The Comedy of Errors suggest that this play was written at about the year 1594 which would have made it one of the earliest, if not the very first. It is no later than third in most chronologies attributed to Shakespeare. If it is his first play, it can be viewed as a “first effort” by someone who later became the most renowned writer in the English language. Viewed in that light, some of the unique features of this play are much easier to understand. It’s basically a knockoff of the play Menaechmi by the Roman playwright Plautus (with additional ideas from Amphitruo, also by Plautus). A translation of the Roman play was known to be published in London at about the same time that The Comedy of Errors was written. Such blatant plagiarism wasn’t denounced as much in Shakespeare’s time. Still, it doesn’t have the spark of original creation like, for example, the more polished later plays The Merry Wives of Windsor and A Midsummer Night’s Dream. The situations and devices used in the play are transparently impossible. The twin sons of Egeon have exactly the same names and their servants do too, even though they were separated as small children. Why would their father Egeon have given his sons exactly the same name? It’s even less likely that adoptive parents would have picked them. As what is happening becomes more and more obvious, no one even appears to suspect until the very end of the play. Really? Unlike most of Shakespeare’s other plays, there are few really quotable lines in The Comedy of Errors. Most has the emotional depth of rain on a sidewalk. It’s one of only two plays by Shakespeare that follows the rigid classical rules of the “Aristotelian unities”. Shakespeare didn’t bother with such confining edicts in his other plays. It’s the shortest play in the entire Shakespeare catalog. A possible review of a very early performance of the play recorded that it, “continued to the end, in nothing but Confusion and Errors; whereupon, it was ever afterwards called, The Night of Errors.” Not an auspicious beginning. The most notable feature of the play is not the play itself, but rather the mirror of the time when it was written. The twin servants, both named Dromio, are beaten continually throughout the play. It was customary for masters to beat servants back then. And the relationship between husband and wife, brought out by the mistaken identity, seems to be one of commerce, not comfort. The wife of one twin describes her husband. One of the Dromio servants is even more unkind in his description of the woman he is betrothed to. she’ll burn a week longer than the whole world. He and his master share a long scene describing where they discuss how different countries might be found on her evidently expansive exterior. It’s all a bit more crude than you expect Shakespeare to be. Abbott: Who’s on first, What’s on second, I Don’t Know’s on third. But the tide of greatness, once in full flow, cannot be resisted. All boats are swept along with it from the mightiest clipper to the poorest rowboat. The Comedy of Errors is therefore accorded the same reverential awe as the rest of Shakespeare’s plays, even though, judged by its own merit, it would be a historical footnote at best. This entry was posted in Library Book Club Reviews on 20 June 2014 by Dan Mabbutt. With four public hearings on the agenda … several of which have attracted a lot of public interest over the months … we joked about how we would be driving home in full dark as the meeting got ready to go. With television shows I wanted to watch myself, I was hoping I would be wrong. As it turned out, I was wrong. Chairman Joe moved us through the hearings with businesslike precision. Only twelve people were seated when the meeting started. (A few more came in later.) Since the new solar panel ordinance would be considered, I had hoped for more … but we made up for quantity with quality. Thanks to a citizen question, I learned that a house and a store are being planned for the OTHER side of Lion Boulevard. It isn’t on any agenda yet. Stew Ferber knew all about it. Stew knows what is happening to every square inch of ground above the Hurricane fault. This is exactly the kind of thing that it would be great to know about and which could be posted here. Stew? Apply for an account! This was the most significant item on the agenda, by far, and it was where the quality of the people who showed up to speak against it made the difference. I suspect that most of the commissioners had their minds made up before they came to the meeting due to the long, tortured process that this ordinance change has been through. But to their credit, the testimony of the people who spoke on Tuesday made a difference. I usually don’t speak at these things since I believe that written comments can be more carefully considered and more widely read by all of the members of the ZiCC community, but this was a more important issue than most. Here’s the statement I made to the commission. I have listened to every discussion of the question of solar panels over the months both here and in the Springdale town council. — I would like to be counted as being against this proposal. My objections have been fully covered in half a dozen articles I have written at my website: Kinesava.com/ZiCC – so I won’t go over them here. But as just one example to illustrate the damage that will be done as a result of adopting this proposal, the Springdale town council discussed how solar power could be used to improve the parking facility that was discussed in the first public hearing tonight. Those ideas would not be allowed if this ordinance is adopted. In short, this ordinance will disallow solar panel innovation in Springdale. In my view, this ordinance will only have the effect of making it harder to install solar power and will make Springdale less environment friendly. In my view, the only justification is to make Springdale more like a typical California suburb and less like Springdale. In short, there is no justification. The ordinance change was tabled pending consideration at a future meeting. This entry was posted in Springdale Government and Administration on 18 June 2014 by Dan Mabbutt. 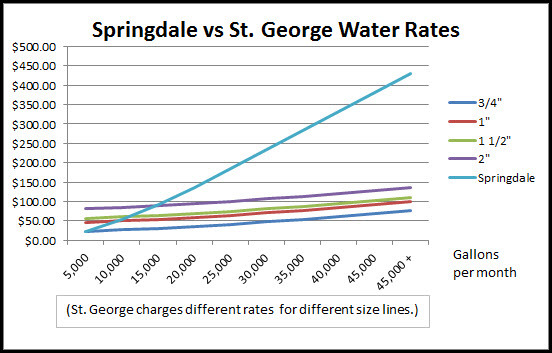 Springdale conserves water better than other communities in southern Utah. One reason is that water costs more here than other communities in Southern Utah. 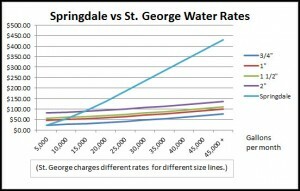 The chart shows that water gets expensive a lot faster here in Springdale than in St. George. But we’re still not doing enough! If you’ve looked at the Virgin recently, and you have lived here more than a few years, you know that the river looks as low as it gets in August … and it has been low since last year. The weather forecast still shows zero rain. We’re in for a very tough summer. Barbara Farnsworth asked me to co-author this Sunday Sermon with her. It started when Barbara sent the letter below to the town several weeks ago. I realize that lush, green lawns look elegant but Springdale lies in the high-desert rainfall zone. Before we are involved in a huge drought, we need to consider how water will be used. The growth and remodeling these past few years could be very problematic. Specifically I am concerned with excessive water usage on large sodded grass areas that have been installed along SR 9. This includes The Hampton, Meme’s area, as well as smaller new sod lawns installed in several businesses. The La Quinta Inn water playground also needs to be addressed. Acceptable Plant Species: Water conserving plants shall constitute at least eighty percent (80%), by area (including areas covered by turf), of the total landscape area on a site. Developments located in the foothills shall utilize plant species appropriate to less fertile soils. A list of recommended water conserving plant species, as adopted by resolution of the town council, shall be available in the town office. Some standard needs to be implemented for future landscaping designs. Watering through automatic sprinkling systems when a rainstorm is occurring, or watering with broken sprinkler heads that flood the road, need to be regulated. Allowing La Quinta Inn to run water playground displays on a hot day when no one is even present at that area should be addressed. The sod lawn size for home owners also needs attention. Many HOAs follow the town’s code that native plants (as those in the surrounding area) must be used outside the actual “building pod”. I have made the point before that writing a letter to the town isn’t a very effective way for the “people who just live here” to get anything done. In all my years of attending planning commission and town council meetings (some as a member), I have seldom heard of a letter even being mentioned. Most times, you have to ask to know if town officials have even read it. Mary Stultz followed a different strategy. She paid her own lawyer (and it wasn’t cheap … for the town or Mary) and the district court then required the town to follow their own ordinances and state law. I was a big supporter for Mary because her cause was just and because the town had closed off every other course of action. But, in general, it shouldn’t have to come to that. That’s a big reason for this website. I’m trying to create a new way for the “people who just live here” to actually be a part of the decision making in our community without paying lawyers. I have been fighting water waste on lawns and landscapes for a long time. I have tried to educate people through several state native plant societies, as well as turning around the plantings proposed for the Canyon Community Center when I saw their plans at an annual Earth day. I went to the Town and they gave me free range on converting typical “center plantings” to native plants as long as I followed the intent of the landscape designer. That was a fun job, working with Cheryl Decker at the park, and the landscape company. I was even able to have several plantings changed by the landscape company because they had very little knowledge that one species uses continual watering and not another – the wrong one was planted. Several of us hoped that the native plantings would showcase their beauty and diversity to the town and entice people to follow suite. I am not looking for an active confrontation from people I live with. I will support you in a way that allows different ideas to coexist; compromise is okay, and peace is possible. I asked for a copy of the list of “Acceptable Plant Species” and the recent La Quinta and Hampton developments are clearly in violation. I met with Tom to ask whether it would be possible to force the new La Quinta or Hampton developments to replant with water conserving species as required by the town code. Tom said that case law on this point is not consistent because developers can make the point that because the town allowed the development, they are not at fault and the town is responsible. It’s a good point. It appears that since the town seems to be simply ignoring this section of their own code, the only logical step now is to start with the very next development application and remind the town of their responsibility to enforce their own code. That’s what I plan to do. If the town persists in simply ignoring their own ordinances, maybe I’ll write a letter to Chief Wright and ask him to arrest Mayor Smith and the other members of the town council. Great Sunday Sermon on water conservation. I agree with your main point that we all need to be doing a better job of managing water resources. I think there are things that can be done as individuals and as a town that can help make our water resources go farther. Thanks for highlighting this important issue. Although you never clearly state why you have made this conclusion, from the context of your post I assume you think the large amounts of turf included in both of these developments is out of compliance with the ordinance. However, nothing in the Town Code limits the amount of turf a development may have. The only regulation specifically addressing turf areas in the code is found in section 10-18-6(F). This section clearly envisions developers using turf as a landscape element. Far from limiting the amount of turf allowed, this section actually requires a minimum amount of turf when lawn is used as a landscape element. It also reinforces the standards of the plant list by stating that turf areas need to use drought tolerant grass varieties. The plant list identifies both fescue and rye grasses as acceptable grasses. The turf areas at both the Hampton and La Quinta are fescue/rye blend grasses. Thus, while I agree that the turf areas at these developments may use more water than other landscape choices, I don’t believe they are “clearly in violation” of the Town Code. Thanks again for the post encouraging water conservation. Thank YOU, both for the thanks and for the reply. I can see that you made a real effort to compose a careful reply. Everyone who reads it is in your debt. It remains a mystery to me why you will send such a great email, but you won’t post it as a comment. But it’s better than nothing at all by a long shot! Au contraire mon fraire! As stated … “clearly” … above: 10-18-4(B). Which YOU never mention in YOUR reply. The only question is whether the grass that developers plant around here is on the town list of “water conserving plants”. You say that it’s “fescue and rye grasses”. I asked a number of plant specialists if they could identify the species of grass planted and I wasn’t able to find anyone who would commit. But if the lawns in front of the La Quinta and the Hampton are “water conserving species” … well … then the town code is where “half truths” can be found. Developers are routinely required to demonstrate whether lights are “down directed” and colors are “on the color palette”. They could be required to say whether plants are “water conserving” too. But they’re not. I’m just asking for equal treatment. Right. At the time, I had not received Barbara’s permission to divulge her emails. I receive a lot of private emails about my site … damn few comments, but a lot of emails … and I have made a commitment not to divulge private emails. (Your emails are an exception since we have already established that emails from town staff are automatically public.) So I didn’t feel free to discuss the particulars then. But your reply did not point out where I had made an error; only that I didn’t tell you why I was asking. And I didn’t say that you agreed with my conclusion on landscaping either. I only said you said what you said not what you said that I said that you said. Thank you, thank you, thank you. This is such an opportunity to make this point again. “Out-of-context and incomplete information” is found in private emails, hallway conversations, telephone calls … all those places where you can’t respond and you don’t even know what is being said. I posted my article publically with the goal of giving anyone and everyone the opportunity to correct it. Which you did. Which I thank you again for doing. If Barbara and I had just complained to each other about this, THEN it would have been “out of context and incomplete”. But we didn’t. We complained in public so we would be accountable for what we wrote. My point then, and now, is that the whole council seemed to have a whole bunch of inside knowledge that the rest of us did not have. Honestly, it’s hard to follow the conversations up on the raised platforms because there are so many “inside” references that they throw around. If these discussions were posted in a “public and accountable” Internet forum, those conversations during the meeting would be a lot easier to understand. This entry was posted in Sunday Sermon on 15 June 2014 by Dan Mabbutt. … and there was nothing new presented so I won’t write more about that. The raw facts are that they have revenues of $165,000 a year now. They need $440,000 a year. So I’m just going to highlight other dollar amounts in reports that I write for a while … just as a comparison. Want fire protection for your house? Want an ambulance in case you have a heart attack? Keep these comparisons in mind. This is turning out to be the most significant and interesting part of the whole meeting. Here’s “Theory and Practice of the Utah Open and Public Meetings Law 101” as it applies to this new wrinkle. Theory is that all public business will be discussed in a meeting where all significant topics are announced in an agenda published in advance so citizens can attend and learn about what their elected representatives are up to. Practice is that lots of REALLY interesting stuff is simply brought up as a “Department Report” and discussed. Not only do we not know that it was going to be discussed, but by this time, most of the few people that were there in the beginning are gone. Anyway … Since the Department Reports were so interesting, I’m going to focus on them first in this report. Kathy talked about scheduling the tennis / pickleball courts. Not too interesting unless you play tennis or pickleball. Then it could be really interesting. Mark said that Chief Wright and our accountant Dawn had discussed “security”. I assume they’re talking about the cash payment of fines that got us in so much trouble a few years ago (and that was never going to be audited until a couple of “buttinsky” citizens started asking about it). Mark wasn’t clear about it … everybody else on the council seemed to know exactly what he was talking about. Mark didn’t mention any other details. Kathy and Mark had a very intriguing exchange about the possible construction of a parking facility on the land between Zion Adventure and the town hall. At this point, other council members jumped into the discussion, seemingly well aware of the issue. Stan: … For a parking facility? It’s not on the agenda. I checked. No agenda has been published yet. Several commission members wondered if solar panels could be installed that might help pay for the structure. Why would they wonder about this detail if the structure itself hasn’t been discussed quite a bit already? Editorial comment: This is EXACTLY the kind of issue that the “people who just live here” would be really interested in. Open and Public Meetings, my patootie! Mayor Stan said he would be meeting with “some people” next Friday about possible fiber for better Internet access in town. He said that we might have fiber “in the ground” next October. Great news, Stan!! Stan said he met with the other mayors about our joint police department. But he didn’t say anything else about it. This was something I have asked about during “community questions” in previous meetings and that had not been reported contrary to a specific vote of the town council. This report fulfills the letter of the council instruction. At the very end of the meeting, there was a whole round of discussion based on a suggestion by Kathy that Springdale consider enacting a municipal minimum wage as some other towns and cities have done. Rick said it would be legal to do that, but enforcement might be a problem. There was no real conclusion to the discussion. Gosh!!! I’ve consumed three pages and only really reported Agenda Item D, “Department Reports”. Since I want this report to be timely, I think I’ll get this one on the website now. The rest of the meeting will have to wait. This entry was posted in Springdale Government and Administration on 12 June 2014 by Dan Mabbutt. Bob Orton, Chairman of the Rockville-Springdale Fire Protection District, brought the meeting to order shortly after 6:30 on Monday. We all knew that we were in for a difficult session. Fees are going up. The details won’t be released until a public hearing is held later this year. This was just an information meeting. One detail is that the board had to take $200,000 out of reserves this year to pay the bills. They won’t be able to do this for another year. The fact is that they take in $165,000 a year now. They need $440,000 a year. The people of Springdale and Rockville are between a rock and a hard spot. A resident of Rockville on a fixed income who didn’t plan on living in a tourist town and doesn’t like it much is between a wall of broken glass … and a hard spot. The fire board was there to explain why it has to be that way and what they planned on doing about it. But before I get into that, I want to thank the fire district board for their selfless dedication to the Zion Canyon Community. The worst thing that I can say about these great people is that they waited too long to hit us with these facts. It would have been better if they anticipated the future earlier and ramped up charges a little sooner instead of hitting us with such a big charge all at once. Bob took the blame for that one, but it’s clearly a sin of excessive kindness. Michael Plyler’s explanation about the problem wasn’t a lot different than the one he gave to the Springdale town council on 14 April. (Covered in my report here.) Practice helped Michael make it shorter and main points clearer. Since I have already summarized Michael’s presentation, I won’t do it again here. The main problem is that we’re a very small community … Michael estimated that at most … including even absentee home and business owners … 1,100 people were trying to cover the cost of a fire and emergency medical service for three million visitors a year. That’s not all bad. Left on our own without the three million visitors, we would be forced to use distant and unreliable services. Lots of other rural communities do. Here, Rockville and Springdale people at least have a local fire and rescue service, even if we struggle to pay for it. But it’s also clear that the tourist business isn’t paying their fair share. Michael added this example to his presentation to drive the point home. In December, we had three medical calls. In May, we had twenty. Fourteen of those were transports. Eleven of those fourteen were out of town visitors. Results are still to be entered whether or not we are going to get paid for all of those runs for out of town visitors. Another reason we’re struggling to pay the cost of our service is that the State of Utah requires a lot of expensive equipment. The district had to upgrade radios to digital radios. They bought refurbished radios to save money, but they still cost $2,200 to $2,800 each. The network system for the digital radios alone costs $300 a month. Dictated by the state. The district pays $500 a month for a doctor to oversee the drug program on the ambulance. Dictated by the state. These things are called “unfunded mandates” by the state legislators in Salt Lake. They moan and groan very loudly about them when the feds do it to Utah. But Michael and the board didn’t pull any punches on the biggest cost: labor. We’re becoming a community of old people who can’t staff a volunteer fire department anymore. So we now have to pay firemen to be on call if we expect to be able to put out a fire at night or on weekends. We pay our firemen far less than we really should. Michael pointed out that where he works, they pay people $11 an hour to sell postcards. They pay two firemen to be on call at our station here $7.50 an hour. Michael was a fireman in Las Vegas years ago. He was paid $10.63 an hour in 1985. In today’s dollars, that’s $22.50. Michael said he wouldn’t run into a burning building for $7.50 an hour. He said that it was outrageous to ask our firemen to do that. One solution would be to turn it all over to the nearest larger department in Hurricane. Financially, it wouldn’t be a good deal. I covered this in my earlier report too. But the bottom line is that emergency medical service is three-quarters of an hour away if we do that. The other solution is to raise fees. Copies of a new four page schedule of categories of fees were available to everyone. The board has been working hard to figure out how to make the fees as fair as possible. For example, there are five different categories of “developed residential” fees. There are eight categories of hotels and B&B’s. The board estimates that 70% of the fees will be paid by businesses and 30% by residences. When the floor was opened to comments, people were in a lynching mood. They were willing to resort to extreme solutions. Some people said that payment should be guaranteed before someone was loaded on an ambulance. The board said that refusing medical service to people who need it was not something they would do. Virtually everyone blamed the hotels. And some people from Rockville were blaming Springdale. Louise Excell, who was on the Springdale council for decades, did her best to explain the limits of what a town government could do. The Springdale town council looked into increasing the tax (“TRT” – Transient Room Tax) to fund the fire district, but they found that state law simply didn’t give them the authority. Some of the TRT tax is already committed to pay for a water tower, but even if Springdale gave the fire district all of the TRT tax, it still wouldn’t cover expenses. I agree with asking Springdale for more money. Play hardball with Springdale. Point out what might happen to the TRT revenues if we canceled our ambulance service and then a major news media started reporting that if you have a heart attack in Springdale, you’re likely to die. I agree with going after the Washington County Commission. They’re reaping the benefits from Zion and not returning enough to the Zion Canyon Community to pay for it. There’s an election coming up. Vote the bums out. I agree with lobbying the Utah State legislature. It seems to me that they are levying “unfunded mandates” on the fire department. Isn’t that what they scream about when the federal government does it to the state? I agree with lobbying the federal government. Cheryl Frassa stood up and said she had experience doing this and offered to help. The very existence of Zion Park is the major source of the problem. Shouldn’t they be helping more to pay the cost? But the fire board isn’t to blame. The bottom line is exactly as Louise Excell stated it. As a community, we need to decide whether we are willing to pay for this service or to do without it. Speaking for myself, I value this service. I’ll pay. This entry was posted in ZiCC Government and Administration, Zion Canyon Issues on 10 June 2014 by Dan Mabbutt. Lord Bertrand Russell – his title goes back to the Tudor dynasty – was a British philosopher, logician, mathematician, historian, social critic and political activist. In 1950, he won the Nobel Prize for literature. But here in America, he is known for his outspoken opposition to many of our national faults. And for the most part, he was right. In the 1940’s and 1950’s, one of his major efforts was exposing McCarthyism and the political repression and fear campaign that spread paranoia throughout America. McCarthyism is recognized as a dark and destructive episode in our history now. (By most folks … but not all folks … that’s the problem.) At the time, Russell was condemned by virtually every institution in America from newspapers to government to academics as a tool of the evil red empire. If Russell had been matched against Satan in a popularity poll, Satan would have won. At the same time, Russell told us why America was stopping the world from backing away from nuclear destruction. And he was right again. Russia was always willing to negotiate an equal nuclear arms agreement. They weren’t willing to surrender. Russell explained to the whole world how America was the aggressor in Cuba. In 1961, America equipped and supported an invasion of Cuba. (On 15 April, eight CIA-supplied B-26 bombers attacked Cuban air fields and returned to the U.S.) In 1962, America brought the whole world to the brink of nuclear war because Castro, driven into the arms of the USSR by American aggression, decided to allow nuclear missiles to be based in Cuba. It’s worth remembering that America had nuclear missiles on Russia’s borders in Turkey and on many Polaris submarines. Castro offered to allow independent inspection of all of Cuba if America would allow inspection of the invasion bases in southern US states. Russell may be remembered most for his stand against American aggression in Vietnam. 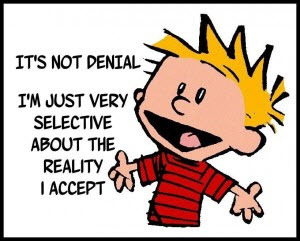 That remains the most recent and most glaring example of American denial. An outgrowth of American paranoia about communism, the Vietnam War never needed to happen. The result for America was the death of over 55,000 of our own young men and women and hundreds of thousands of Vietnamese, Laotians, and Cambodians; not to mention the billions that the war cost. We gained nothing; nothing at all; and we lost so very much. I could go into the lies and deceit in the Vietnam War, but if you don’t know already, then you’re part of the problem. Documenting the lies isn’t what this article is about. It’s about how America desperately needs to face our national disease of denial before we can recover from it. In 1970, Russell died and so he wasn’t around to tell the world about how an army officer named Saddam Hussain rose to power as a result of an American co-sponsored military coup in Iraq – Britain was the other complicit power – which eventually resulted in a war that sacrificed, not billions, but trillions in national treasure and another generation of young men and women. We’re not learning from our mistakes. We will keep making the same mistakes until we face them. Psychologists are united in saying that as long as someone continues to deny responsibility for problems, that person can’t change and the problem will keep coming back, again and again. I think it’s the same with nations. The best thing we could do as a nation would be to admit that we have a serious problem with military aggression that could be fatal to us and the rest of the world and start the long road to recovery. Russell was also a big defender of Julius and Ethel Rosenberg, who were convicted and fried in the electric chair for spy activities. (Literally. Ethel Rosenburg’s head started to smoke before it was over.) And of Morton Sobell, who served 17 years of a prison sentence. Bertrand Russell’s America was published a decade before we discovered that they were guilty after all! Sobell confessed to a New York Times reporter shortly before his death and information from the former Soviet Union after the breakup confirmed it. But Russell’s very logical point was not that they were innocent; it was that they never received a fair trial. And that remains true. This entry was posted in Sunday Sermon on 8 June 2014 by Dan Mabbutt. Eight people were there to watch Chairman Joe bring the meeting to order. (And curtail all of the chit chat. This thing is starting to be as good a source of neighborly gossip as the post office.) There were a few new people there too! When I first started documenting these meetings, I was alone in the audience most of the time. Better and better! Before the meeting got rolling, kudos went to Tom for putting together the latest night sky event. 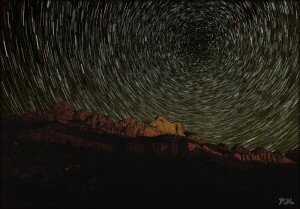 The most recent one was about night sky photography. My neighbor, Paul Mailloux has been winning awards for his landscape photography recently and as the illustration shows, we can look forward to some great shots at night now as well. Because the discussion about all of them was brief and to the point, I can cover what was said individually this time without boring you to somnolence. Since Mike’s idea would still allow any number of structures, it really exposes the town to the same problem, just slightly reduced. The present ordinance allows a developer to build a dozen 5,000 square foot structures. With Mike’s idea, a developer could build a 5,000 square foot structure and a dozen 2,500 square foot structures. As noted, the commission just didn’t seem to be in a mood to go into details. No one noticed that and they moved on. They’ll have to have at least two more meetings (plus a town council public hearing since the planning commission can’t actually decide anything) to put this one to bed. This might drag on through the fall at this rate. It doesn’t seem like something that should take this long. The discussion made it clear that Tom actually decided on the numbers in the table. This, and Mike’s last minute idea, are (yet again) examples showing how it’s hard it is for a committee to actually design something during a structured meeting. This was another fix for something that just wasn’t working. The very effective team of Mark and Joe working in tandem can be credited for making sure this was reconsidered. The problem here was that the existing ordinance, in an excess of concern for the creativity of sign designers, opened up a loophole by technically allowing someone to only count the actual area of each letter in a sign and make the actual sign gi-normous. Trust me … some developer would do it. Again, the fix they’ve arrived at is simple. They plan on allowing the number of sides in an “enclosing polygon” to have a maximum of ten sides. There are forces in town who believe that solar panels are unsightly and everything possible should be done to make them invisible. In my humble opinion, this is short sighted and not what Springdale and the Earth needs. I’ve written a number of articles urging more support for solar power here. In Solar and Springdale, I predicted that the town was going to place severe limits on what people can do to provide renewable solar power. That prediction is coming true. The “purpose” section of the ordinance states “The standards in this section are intended to allow and encourage property owners to develop solar energy systems while also protecting surrounding areas from the reflectivity, glare, and visual impacts.” In my humble opinion, that’s only half true. Encouragement is severely lacking. Roof mounted solar energy systems must be mounted such that they are co-planar with the roof. Systems may not extend vertically above the peak of the roof on which they are mounted. Roof mounted solar energy systems that are completely screened from view from surrounding properties are exempt from this requirement. Translation: If you want to put a system on your roof, often the cheapest way to do it, give up on the goal of making it efficient by aligning it to the sun. And no exceptions are even made for locations (like mine) where someone would have to perch on a neighboring mountain with binoculars to see it. During the meeting, the commission added a requirement that you couldn’t generate more power than your house uses. The goal was to “stop people from putting up solar farms”. If only! Solar power isn’t efficient enough – and Springdale land is way too expensive – to do that. But this requirement would eliminate the possibility of taking advantage of a technology breakthrough or a special situation where that might be possible. Tom pointed out that at least one property owner already generates more power than the property uses. And the town generates enough solar energy to violate this clause, so they agreed to a loophole for public use zones but everyone else is specifically disallowed. I guess that one property will now become a “non-conforming use”. This will go to a public hearing next. Springdale used to have a real environmental attitude! This is all about allowing people to rent rooms on their property. The main problem here is that a lot of people are already doing it. If memory serves, everything that the commission discussed on this item has been discussed before. Some of them, two or three times before. Remember, this one has already had a “public hearing” and has been kicked back to the commission for another try. It was clear that some of the people who attended the meeting were there just for this discussion. “Public clamor” in previous meetings persuaded the commission to strike ADU’s from the Valley Residential subzones (These were just created just a few months ago. In general, they’re smaller lots in the middle of town.) And they went even further in this meeting and eliminated them from the Foothill Residential Zone too. They are only allowed by “conditional use permit” in the Valley Residential zone. That means there are special conditions that must be satisfied in that zone. There was some public clamor about this during this meeting. The commission was not dissuaded. This has been a tough one! It seems to me that the commission has done a good job of deciding something that has been very controversial. The ordinance may not be perfect, but it’s a good first start at worst. It’s also a detailed and complex ordinance. If you want to really understand it, you will have to consult the meeting packets at the town web site. Or call Tom. (He likes to get interrupted by phone calls!) It will go to a public hearing next. Expect more fireworks. Again, the commission has done a good job of putting together a difficult and complex ordinance. Actually, Tom has done a good job! In past meetings, the commission seems to have chewed around individual pieces of what Tom wrote as he crafted new versions. For example, in this meeting, they reduced the allowed number of units from six to five. It’s hard for a committee to design something in a structured meeting! Consult the meeting packet for the details of the final version. But as Shakespeare would have it, “All’s well that ends well.” Hopefully, you feel that way about this report. This ordinance will go to a public hearing now too. This entry was posted in Springdale Government and Administration on 4 June 2014 by Dan Mabbutt. In the coming decades there will likely be 11 billion people on Earth. This population increase, and our diet and lifestyle choices, have driven us to a precipice. Deforestation is a central cause of climate change, contributing more greenhouse emissions than does the transportation sector. The tropical forests of Central and South America, Africa and Asia are being destroyed to provide land to graze cattle, to grow food for the animals people choose to eat, and for wood and paper products. I discuss the consequences of diet choice in my book length essay, To Save the Animals. (Nearly completed.) This editorial will focus on the need for paper, cardboard and other recycling. Trees use carbon dioxide in photosynthesis, therefore when they are destroyed, more CO2 accumulates in the atmosphere. In addition, the water from plant transpiration rises, then condenses to form clouds, and falls as rain or snow. Deforestation disrupts this cycle, and much of the land turns into desert. Large quantities of carbon stored in the soil (especially in peat swamps) are then released to the atmosphere. Primates, elephants, parrots and other fruit-eating jungle animals disperse seeds away from the parent trees, and package the seeds in fertilizer (dung). As we destroy the forests, we are forcing these species to extinction; the forests may well go extinct, too, without their help. We destroy the forests either by setting fire to them or by cutting down the trees. 50% of all animal species live in the rainforests. We set them on fire or starve them when we destroy the forests. Our actions have set in motion the greatest mass extinction of all time, one that is happening 1,000 (perhaps even up to 100,000) times faster than any previous mass extinction. The animals do not have time to adapt to the rapid change, new species cannot evolve. Climate change is responsible for heat waves and drought that cause tree deaths from disease and infestations, and lead to hotter forest fires that destroy more trees. Recently, British Columbia lost 58,000 square miles of forest in only a decade. The forest fires kill wildlife. Animals suffocate, burn to death, or lose their shelter and sustenance, as in tropical forests. Thousands of fish may suffocate from ash or die from the heated water in a single forest fire. Allied Waste/435.628.2821. AW charges less for pickup of both recycling and trash than for trash pickup only. Sol Foods has a cardboard compactor. They bundle then sell the compacted cardboard. The owners, Max and Julie Gregoric, generously allow other Springdale businesses to bring cardboard to the compactor, located at the side of the building, between Sol Foods and the hardware store. Sol Foods bought the compactor from AFS, and Rocky Mountain Recycling purchases the cardboard. The post office has a recycle bin that accepts cardboard, plastic and paper. It is not big enough to accommodate cardboard from businesses; however, people may recycle cardboard from packages there. The town bins, located past the Community Center and tennis courts on Lion Boulevard, now have a cardboard recycling bin. However, it is not for business use. Springdale businesses can work together to expand cardboard recycling options. For example, were businesses to contact Dixie Waste to request recycling, it would provide incentive for Dixie Waste to provide such a service. Businesses and private residences can also make a significant difference by choosing to use recycled paper products – cups, plates, napkins, toilet paper, paper towels. Springdale is a village, but millions of tourists come here every year. Springdale can help them to recycle plastic, paper and metal cans by placing small recycle bins throughout the town (as is done in Zion National Park). Motels can provide individual recycle bins (metal/plastic/paper) in every room; Cliff Rose Hotel already does this. A competition, either for children and young people, or for people of all ages, could inspire beautiful posters and banners, and fliers to display in store windows to encourage people to recycle. T-shirts, perhaps with designs by children, could promote recycling. Once Springdale has earned bragging rights, there could be bumper stickers and decals as well. For Springdale to truly be a green community there must be water conservation. The Virgin River provides the water in Springdale. The forecast for the West the coming decades is drought, to where what now is a very dry year will be considered a wet year. The temperature is expected to continue to rise. There will be less snow melt, upon which the Virgin River depends. Springdale can promote water conservation with signs in motel rooms, public restrooms, and restaurants. Businesses and residences that have not yet done so should install water-conserving showerheads, faucets and toilets. Waiters should ask customers if they want water, or partially fill glasses, or restaurants can use smaller glasses. Leftover water should be saved to water plants. Businesses and residences should only water before 8:00 a.m. and after 7 p.m. from mid-April through September; during the heat of the day, much water evaporates. Green laws are water intensive, and therefore not appropriate in Springdale; desert landscaping is beautiful. There is no more glorious place on Earth and here. Recycling and water conservation are ways to treasure the land and to save wildlife. This entry was posted in Sunday Sermon, Zion Canyon Friends, Zion Canyon Issues on 1 June 2014 by Dan Mabbutt. You just don’t know what kind of fun you can have when you go to these meetings! For example, as a result of attending this one, I got to chase a chicken around the cactus along with Mark and Garon (one of our police). 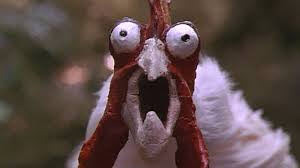 Matt Raynor asked Mark why the chicken crossed the road. Mark said it was to avoid going to the SWAB meeting. SWAB is how Springdale and the irrigation company coordinate. There are two members appointed by Springdale (Mark Chambers and Stan Smith) and three members appointed by the irrigation company (Mark Schraut, Allan Staker, and Brent Heaton, chairman). This was an unusual event. The Board didn’t meet at all in 2013 and only twice in 2012. (And one of those meetings doesn’t have recorded minutes. A LOT of business gets done in this town informally. That’s one reason I started this website. I think everyone deserves to know what’s going on.) On Wednesday, three important items were on the agenda. Note: See Fay Cope’s comment below. The missing minutes have been restored. Most folks here probably know that the majority of the town’s culinary water, as well as the water used for a lot of lawns and pastures, comes from a diversion on the Virgin River. The Park has also used our diversion to get their water from the Virgin. A while back, the Park decided that they wanted their own pipeline and diversion rather than using ours, so they had a contractor building one. Well, as these things go, they nicked our pipe. That normally wouldn’t be a serious problem to fix, but when they started working on repairing the damage, they discovered that our pipe, which has been there in the ground for some thirty years, was full of sediment to the point that they decided it had to be cleaned. As Stan pointed out, the danger was that the pipe wouldn’t deliver enough water during peak summer use and leave the town without water when they need it the most. The town doesn’t intend to take that risk and they intend to move ahead with the project. There was a lot of discussion about what caused the pipe to fill with sediment. The conclusion was that nobody really knows. Most believe that it has a lot to do with the fact that the river is really low now. Before they nicked the pipe and looked at it, they didn’t know that it was that full of sediment. They had “flow issues” at the pump house last fall that started to affect the town’s ability to provide culinary water to the town. They now believe that those flow issues were related to all of the sand in the pipeline. They tried a lot of things to clean the pipe, they considered a lot of alternative ways to do it, and they chewed up a lot of meeting time talking about it, but the only thing that seemed to work was to put in manholes that will allow sand to be taken out of the pipe through the manhole. So that’s what they did. Two manholes have already been installed and about 1,500 feet of the pipe have been cleaned. Rick said that they managed to clean 98 percent of the sediment. Rick had the plans available showing that seven more would be needed for a total of nine. Then they got to the sticky part: paying for it. The irrigation company representatives were very keen to figure that out. The town diverted funds from another account to do the first two. They cost $10,000 each so they’re planning on the whole project costing about $90,000. There was some discussion about whether this was “routine maintenance” or not. It would have made a difference in how the cost was shared. But Mark had read the contract. He pointed out that the actual language of the contract stated that the 66/34 percent cost sharing would apply for, “any improvements, replacements, or extraordinary system costs beyond the annual operation and maintenance”. That sort of ended the discussion. Just by way of comparison, the operating budget of the irrigation company is only about $20,000 a year. (Well … Everybody there seemed to be aware of some extraordinary legal expenses recently. Allan described it as a “fiasco”. I don’t know a thing about it. Maybe someone will leave a comment and fill in the details.) The town would provide the funding initially and the irrigation company would have to pay back the loan. The irrigation pipeline cost half a million initially and the town and the irrigation company were able to work out a deal to pay for that. Allan made the commonsense observation that the people who live and do business in Springdale would pay for it, one way or another. It was just a question of which pocket it came out of. Brent said that the irrigation company would have to meet as a Board and consult their members about it. Springdale has tried hard to keep a “local flavor” to businesses in town. The “compliance” item was on the agenda for one reason and it is a great example of why local people and local business makes sense for Springdale. The Hampton Inn uses irrigation water for the vast expanse of lawn in front. But they don’t seem to want to play by the same rules the rest of us follow. Robby, our watermaster, said that he had talked to them a lot about it, but they don’t seem to get the message. This is just me, but I think that’s probably because the people running the Hampton are corporate people, not Springdale people. (A response from Hampton about this would be great!) After consulting the irrigation company rulebook and talking about it, they decided to move to step two: a formal written warning. In Step Three, we cut off their water and it takes a formal act of members of the Board to turn it back on again. For much of the meeting, this was the elephant in the room. The contract is thirty years old and most of the specific things that were covered (construction and ownership of the pipeline) will be complete in 2014. There was a lot of motivation on the part of the irrigation company board members to renegotiate the contract. A $90,000 bill is a great motivator. The Springdale members said that would have to be considered by the town council. At this point, Brent asked if any of us listening had any comments. … I did. First, I asked Rick if cost sharing arrangement was part of the contract and he confirmed that it was. I pointed out that even if building and paying for the pipeline was complete, the cost sharing was still as valid as it ever was and there was no real reason that I could see to change it now. I hope the members of the town council are reading this. I’ll be looking for this on their agenda now. 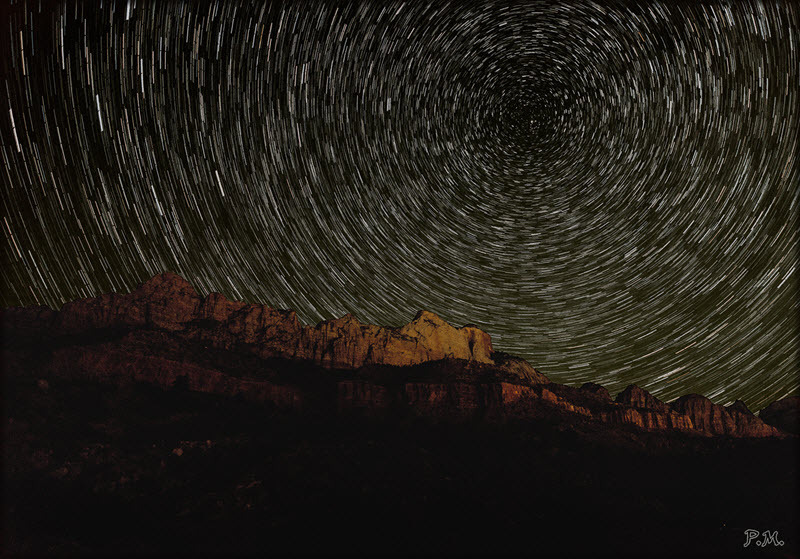 This entry was posted in Springdale Government and Administration, Zion Canyon Issues on 29 May 2014 by Dan Mabbutt.